World wide taste which represents korea, the LAVER Kotean traditional food which is produced in the clean sea Containing vitamins and minerals. Alkaline food which is rich in nutrition well being food with low calorie and low salt. 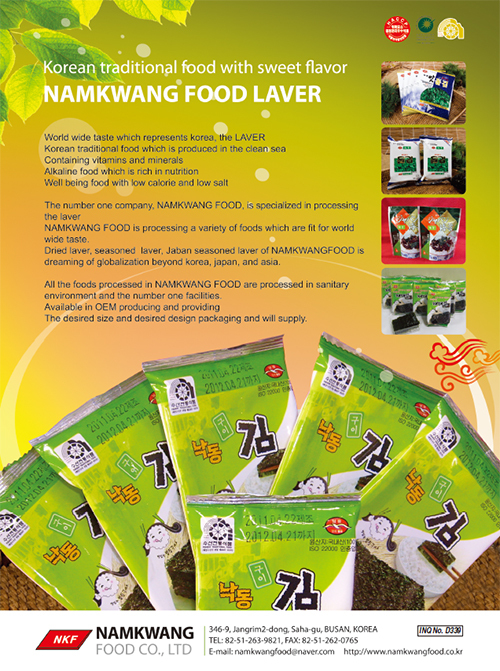 The number one company, NAMKWANG FOOD,is specialized in processing the laver NAMKWANG FOOD is processing a variety of foods which are fit for world wide taste. Dried laver, seasoned laver, Janban seasoned laver of NAMKWANG FOOD is dreaming of globalization beyond korea, japan, and asia. 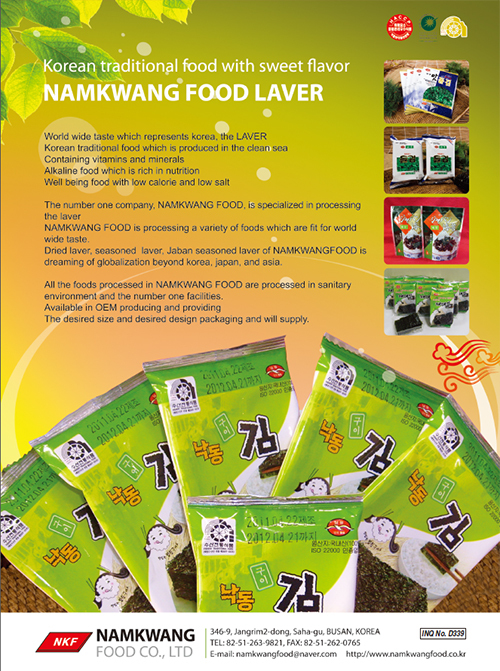 All the foods processed in NAMKWANG FOOD are processed in sanitary environment and the number one facilities. Available in OEM producing and providing The desired size and desired design packaging and will supply.